“Whether adding a new room to your house or giving it a new coat of paint, renovations can add huge value to your property. 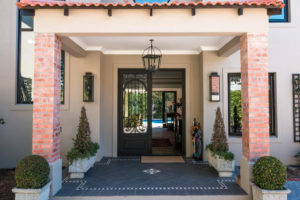 The entrance, which often sets the tone for the rest of the house, and the state of the kitchen and bathroom, can impact a potential buyer’s decision. “Renovating the inside of your home can add value, but it needs to be functional,” says Vivienne Cox, ooba’s Regional Sales Manager. She goes on to add that revamping the outside can also help sell homes faster. “If you are hoping to make a significant return when selling your home, make sure that the exterior is on par with the rest of the neighbourhood by making minor improvements to create maximum appeal,” she adds. When planning a renovation project, the first step is to check the value of the homes in the area to give you a good feel of your home’s value and how much you should spend on the upgrade. The last thing you want to do is overinvest or price your home out of the neighbourhood. Furthermore, if you are renovating to sell and apply for a new home loan then Cox recommends that you get prequalified first. Ask a Prequalification Expert to give you an indication of what the bond and registration fees will be. When selling your home, factor in the costs of obtaining your electrical, beetle and plumbing certificate together with the advance portion you need to pay for your rates clearance certificate from the Municipality. The most effective way to improve your kitchen is to paint old cupboards or to simply replace the doors and add new modern handles. This will give it an instant facelift. Install flattering lighting in your bathroom and replace old or outdated taps, basins and toilet seats. Re-glaze the bathtub to save costs rather than replace it. Replace old carpets with laminated flooring or tiles, this instantly adds a modern spin to your home. Repaint your home in soft, light and neutral colours to create the illusion of space; this will in turn give the home a well-maintained feel. Also ensure that you use good quality paint to achieve a polished finish. Pay special attention to detail, repaint anything that is looking tired, including gutters, fascia boards, balustrades and gates.